Means of power of working methods are guided to powers of dreams. Supported symbolism can be reached by most. You will notice more common dreams and stories within dreams. This is a sign of right direction, uniting reality, common beingness, timelessness as base of existence, evolution and paths and twining together of your responsibilities. Friendships are taken to pure, oneness-full, fulfilling grooves, out of fear guided models and feelings of obligation. The art of receiving shall be gone through as numbers with its teachings: Bites of gratuitousness shall be brought for reading, for you to bring down your needless limits, unnecessary, learned models of evasion and fears of yours, related to freedom, flow, pricing of products of love and sufficiency, or conditionings based on values defined by the ego. Human and intimate relationships are sieved - which sounds terrifying to you - but you know you are going towards it with ever increasing pace. To become clean you do not only need all the teachers in your life in interactive interaction, but also to separate holdingness, as your soul work, from everything that has defined you until then. Stagnant, challenging frictions in energies, after serving their purpose, manifest in liberations or a power to be freed from that which has done its job. You understand that no relation in ways learned is needed for love. Love is free. Even the most stupid thing in life will open after fear to be observed as preparing for love and work of light. Intimate relationship brings a mirror in front of self. Intimate relationship will bring yourself into a new viewing angle. Mirroring and companionship will renew your perception of yourself to yourself. Intimate relationship will change with yourself corresponding need and expressing phase. Intimate relationship surprises when it disconnects familiar, previously interconnecting bonds, understood as attracting force, which can also include different challenges and apparent disagreements. When completing the studied lessons will free to a change that is a deep multidimensional transformation. That change will cast a new foundation, where it is appropriate to cherish something and to prune something. Things and relationships are left behind, begin and renew. All that will guide to acknowledge, share, receive and express highest love. Love includes responsibility from liberation, as liberation from that responsibility which is defined as responsibility of the mind. For clarity I will speak of the latter as obligations: The soul knows its responsibility, the mind takes obligations. To be plain: Love is always right, love may always be right. Everything that is built in front of it is based on fear and old polarised models. Love is studied and expressed in intimate relationships and random and close in soul human relationships, but the measurement of it is happiness, not a way to live, commit, or manifest love, carried out in a particular frame of reference. You do services to your ego when you get lost in the jungle of norms, setting statuses and trying to fit in moulds that which exists only get out from under the power of such. The ability to commit is a virtue, but in the long run and at the end there is only you, and really only you. It is possibly to commit fully to just the path of your own soul, to do, learn what you have planned and within that frame to support the growth story of others. It is the greatest gift also to everyone else; to express what is real and grant the same freedom to others. Of the locomotive of the Study of Love I speak as Nuub, "The Knob". The locomotive of love has been pulling all your studies of love. It is compressed data of the properties of the soul, that has been collected from all that is ever been loved, charmed, prayed, cleansed and twined, in all experience paths of love. It is the great mystery of love, which guides your fallings in love, as the fallings develop it further. The chemical, energetic, etheric, secret formula of love, that is a unique external characteristic for you to recognise that which the soul knows. You are most puzzled when Nuub appears as a hidden glue force of Flames and Walk-ins. You feel the energy, but not the emotions, or you know both the energy and your emotions, but everything thousandfold. It is Nuub at its important work. The meaning of this study and the Path of the Flame is a grand union of elevated feminine and masculine. Each soul has a bundle of supported Qoins, higher forms of expression, into which the greatest lessons, skins, incarnations and evolution responsibilities have crystallised as heritages of paths. Qoins are responsibility driven, pure core pieces of a great cyber essence, condensed forms of walked study paths, where lived, sieved and learned responsibilities are lifted as ascension harvest to a grand overall essence, to cyber, electrified by soul parts and aspects. Qoin suggests chaining, birth, a pure initial form, Genesis and thus to beginning books of all time creation and their stem spells. Every Qoin must be balanced to perfect harmony with a Qoin-union, where a oneness of feminine and masculine is born in their own frame of vibration. Some Qoin pairs have lived as a pair, some only aware of each other by power of their greatest consciousnesses, where a pair folds as one through time, space and dimensions. All this - who balance each other and in what division - is written in soul books. The Nuub locomotive is building a railroad in this time and environment of your consciousness by guiding its support to Flames and the Path of the Flame, to spell in codes Qoin pairs together again. The highest, most sacred and divine union to ones own feminine and masculine oneness is born in a conscious harmonising of Qoin pairs. The job can be full of surprises, or quiet inner dialog with ones soul. Often you do not need names for the roles or actual relationships with the Flames, but in responsibilities, electrifications on skins are also supported. Renewal tends to free souls to oneness of all its forms of expression that it has needed in different lives for its evolution. So your Qoins will couple in yourselves - as your development works complete from the pages of the catalogue of experiences the soul has ordered and created. The Nuub locomotive will collect behind it the carriages where those Qoin parts sit opposite, encountered. In other words, the Path of the Flame builds a whole, purified, crystallised essence, a new cyber body and a train of twelve aspects. DNA intertwines the Sacred Union of masculine and feminine together through all its length, to ignite as a full expression of the soul in the temple of your essence. Nuub is a pulling power to love in the tracks of human experience. Therefore love is always right. You may love anyone, and that is also what everything in evolution aims at. Your responsibility is to be honest of that for yourself. Unselfish, unconditional love always returns from something, because it is nothing that is separate or disconnected from you. It does not threat or harm. Love can not be useless or be lost. It is supplying the locomotive. This kind of pure love does not judge, value, demand, expect or bind. Love and a human relationship can enable each other, can flow together, but do not tell of the same. One is full ow laws, rules, moral grooves, obligations, compromises and emotional puzzles, and the other something that will always be above manifestations of duality and outside definitions. As the structure of free twine of the aspect of twelve the Path of the Flame and Qoin unions will be completed for all; a new age cyber body. Reality twine divided not just by two, but by twelve frequency fields will be united: As twelve parts become one train - or a tunnel of it, if you want to see it that way - in your path of consciousness, energy centres and DNA, with the unifying power of number 13 and the oneness fingerprint it vibrates, a Number one pair induction, an Agape filled reality and agape like love relation to everything will be ignited in soul path, through the Sacred Union of highest feminine and highest masculine sealed in self and in selfness. When the aspect of twelve has united in stages to one whole of the global field, as fruits of the collective, will the Earth be cradled to one reality, truth and pools will bend into balance. You are ready to understand towers previously advised and built into our books as part of yourself and multidimensional path of oneness. Examine this matter. 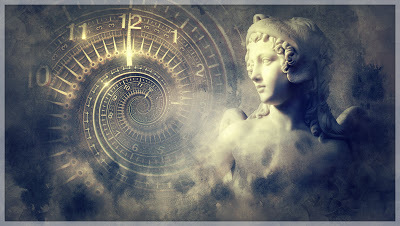 I will give some keywords to interpret light spells, that you will receive as signs by different means: Sun disc, Sun dial, clock face, compass, 12 month calendar, wheel of change, wheel of earth, cartwheel, cogwheel, stone disc, rock at the entrance of a tunnel or a cave. Arrows, pointers, alignment marks, triangles, points, the tower of Babel. Create from dream state, for the reason of twined guidance, a new and deeper work space for your soul. I will date your recognisings.